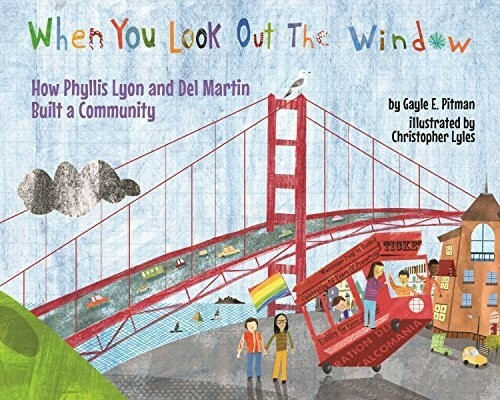 This is a picture book about Phyllis Lyon and Del Martin, one of San Francisco's most well-known and politically active lesbian couples. 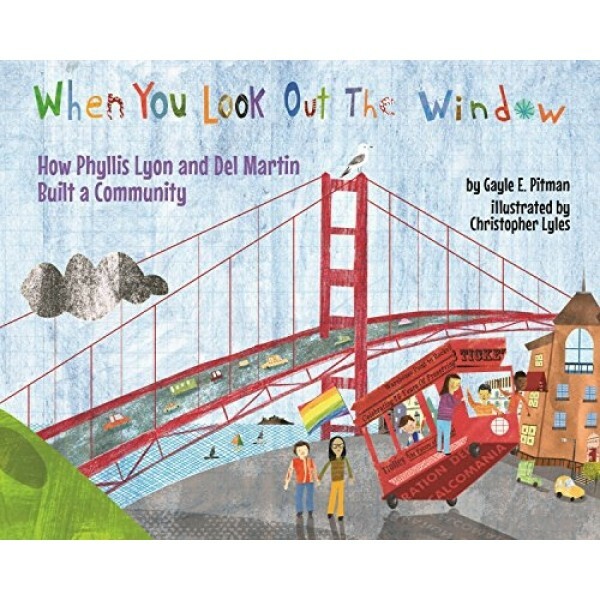 In this story, Phyllis and Del point out landmarks through the city that can be seen out their window. They also highlight the things they have seen change over the years, from women's rights to marriage equality. A detailed reader's note describes how Phyllis and Del left their mark on each of these sites, as well as providing a brief history of the LGBTQ and women's rights they fought for. This is a unique way to introduce children to untold stories in history while also being a clever tribute to two notable women.